Every year I attend the Vancouver International Wine Festival. 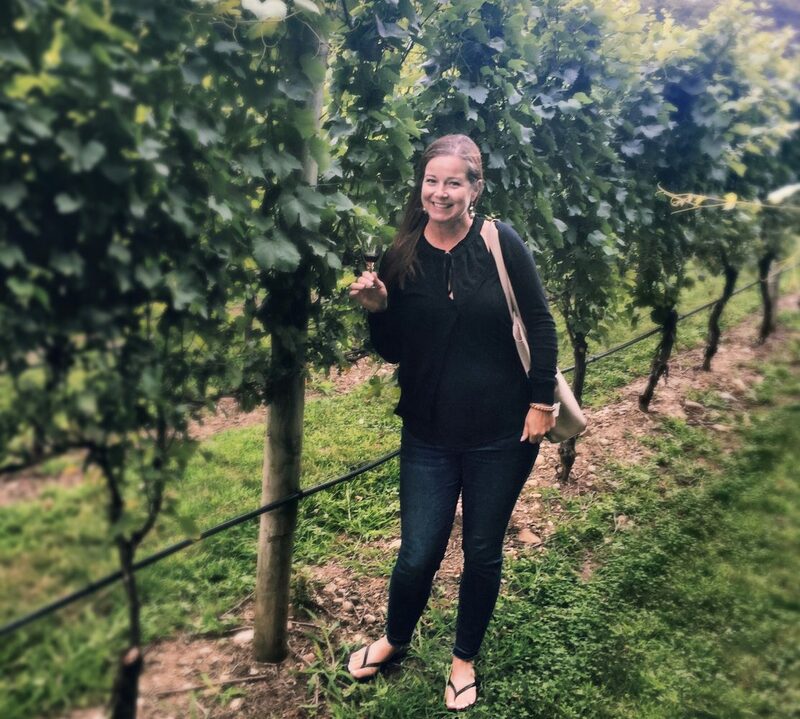 To learn, to be inspired to write, and to share my experience in hopes of inspiring others to attend and learn more about wine. I had one particular experience this year, that blew my expectations right out of the water. “A Sparkling Experience” showcasing premium Cava from Juvé & Camps paired with a multi-course dinner at ARC Restaurant at the Fairmont Waterfront Hotel. It was a privilege to sit beside the winemaker, across from the export director, with my wine writer friend and with two well-known and respected local media personalities. And, we got to taste a line-up of beautifully made Cava that just arrived into Vancouver just 2 weeks earlier! These Cavas were a level above what we have tasted in the market. Their finesse and personality are very distinctive and such a delight to have, it made me appreciate Cava even more than I did. A little about Juvé & Camps: started by the Juvé family in 1796, they now have 271 hectares in the Penedes region of Cava in Spain. Organic, hand harvested. Made in the méthode Champenoise in caves at the family estate winery that were built in 1921. They released their first Gran Reserva in 1972 followed by the Reserva de la Familia, making history as the most widely sold Gran Reserva Brut Nature cava in the world. Cava, if you did not know, is the name for Sparkling wine in Spain. To be labelled “Cava”, it needs to be made of 3 grapes: Macabeu, Xarel-lo and Parellada. If the history of this winery isn’t enough to peak your interest, then have a look at the menu we enjoyed showcasing each wine with its perfect west coast pairing. Zarzuela de Mariscos – mussels, pancetta, charred tomato and almond. Served with the 2015 Cinta Púrpura Reserva Cava. Aged 24 months in the bottle, on the palate it offered fresh fruit and a hint of flowers and toasted notes with a balance of all 3 grapes. Soft and just crisp enough to pair with the shellfish. Grilled Local Octopus – smoked paprika vinaigrette with a potato terrine. Served with the NV Limited 40th Anniversary Brut Nature Cava. Aged 36 months in the bottle with the main grapes of Xarel-lo and Macabeu and 10% Parellada. Extra aging showed well with notes of toast, fresh fruit and hint of citrus in the background. Quebec Foie Gras – torch sandwich with tea crisp, date jam, candied nuts. Served with the 2014 Essential 100% Xarel-lo. Crisp and lean with mineral and citrus notes were perfect to cut through the richness of the Foie Gras. Aged 24 months in the bottle this was such a delightful surprise – with notes of fennel, pear and mediterranean herbs and hint of yeast in the background. Outstanding, and my favourite of the evening! Cordero Al Ajo Cabañil – garlic and cumin roasted lamb with preserved lemon. Served with the NV Brut Rosé made of 100% Pinot Noir. Aged for 9-15 months in the bottle, this fresh sparkling had notes of cherries, strawberries, hints of honey, toast and flowers. Although we were all a little apprehensive on the pairing, it danced with the spiced lamb perfectly! Nova Scotia Lobster “Paella” – saffron sauce, shellfish risotto, sidestripe shrimp, blistered tomato and artichokes. Served with the 2013 Gran Reserva. Aged 42 months in the bottle with the dominant grape of Xarel-lo, then Macabeu, Chardonnay and 10% of Parellada. This showed absolute beauty in the glass, with many of the same notes, just much more creaminess from the mousse and a complex personality yet still very fresh. Torrija Bread Pudding – cream catalans ice cream, almond streusel, dulce de leche. Served with the 2015 Milesimé Cava made of 100% Chardonnay. Aged for 24 months in the bottle, this was another delight. Complex and elegant with fresh peach and melon notes with a hint of honey, grapefruit and toast. Delicious! I highly recommend you seek out Juvé & Camps Cavas! Or better yet, start planning your next trip to Spain, call up the winery and make a reservation to do a tour (and take me with you)!